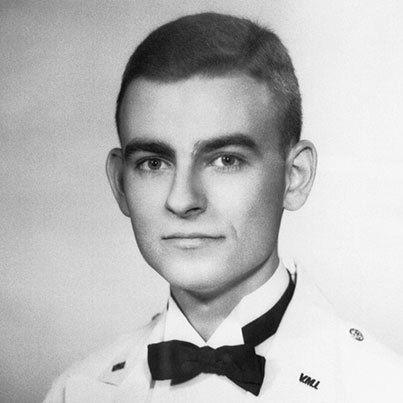 When Dr. Martin Luther King Jr. issued his nationwide call in 1965 for clergy of all faiths to come to Selma, Ala., to support voting rights marchers, Jonathan Daniels, a 26-year-old white Episcopal seminary student from Massachusetts, heeded the call. During the long hours of waiting, meeting and marching in Selma, Daniels was buoyant in the knowledge that he was living his faith. He made fast friends with a black family who opened their home to him, and he quickly saw the urgent need for economic and political reform in the South. When the Selma-to-Montgomery march was over, Daniels decided to stay and work in Alabama. On Saturday, Aug. 14, black teenagers in Fort Deposit gathered to picket white stores that discriminated. Daniels and two fellow ministers joined in. Police had already informed the marchers they would be arrested for their own protection. As the group approached downtown, Daniels and the Rev. Richard Morrisroe, a Catholic priest, were among the 30 marchers taken to the jail in Hayneville. The marchers spent nearly a week in jail. On Aug. 20, 1965, they were released without explanation and with no transportation back to Fort Deposit. While one of them went to call someone for a ride home, two teenagers, Joyce Bailey and Ruby Sales, walked with Daniels and Morrisroe to a store to buy a soda. When they got to the door, they were met by a man with a shotgun who told them to leave “or I’ll blow your damned brains out!” Daniels pushed Sales out of the way as the gun went off. The shot hit Daniels in the stomach, killing him instantly. Morrisroe was hit in the back, critically injured. A grand jury indicted Coleman for manslaughter instead of murder, after he testified Daniels pulled a knife on him. The all-white jury took less than two hours to find Coleman not guilty and shook his hand as they filed out of the courtroom.